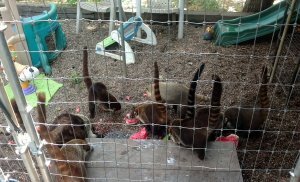 What happens when you drop a watermelon in the Coati cottage? Answer: Tails go up and noses go down and it looks like you have a herd of Brontosauruses…. Previous Previous post: We are back!! !